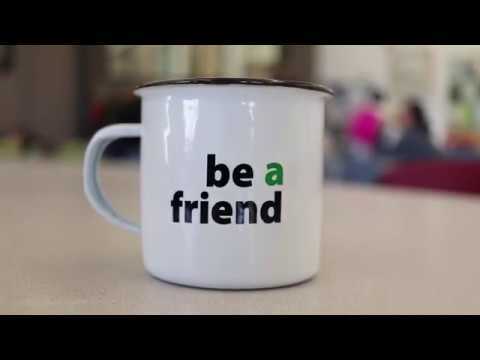 As an organization, Saskatoon Friendship Inn is responsive, compassionate, and fosters a sense of belonging. It relies on community wide partnerships and support in fulfilling its commitment to regular meal service and friendship. Within the resources available to it, Saskatoon Friendship Inn is also committed to individual and group services and programs for children, youth and adults who experience poverty in order to help them help themselves and each other. We believe in community development, public education, and advocacy to encourage compassionate solutions to poverty in our city. The needs of the community, including the cultural needs, the economic needs, and the social needs of the community. Vulnerable people find safe sanctuary at the Saskatoon Friendship Inn, a community centre that evolved from a soup kitchen. The Inn has created a welcoming environment by committing to being responsive and compassionate, and to fostering a sense of belonging among children, youth and adults who experience poverty, with a no-questions-asked policy. At the Inn, people access breakfast, lunch, a family worker, as well as information on topics ranging from health to the law. We offer programs such as a weekly cribbage tournament, tutoring for kids, and parenting classes. Without proper nutrition, people living in poverty experience high levels of illness and stress. Hunger negatively affects every aspect of daily life in ways that are difficult to understand by those who have not experienced this challenge. By responding with two nutritious meals, 365 days of the year, the Inn empowers youth and adults to bridge the gap between cheques and better manage other daily issues. Serving the needs of vulnerable, marginalized people strengthens our growing community. By eliminating the stress of securing two meals, individuals and families can focus on other relevant issues such as securing housing, finding employment, creating healthy relationships and education for themselves and their children. Those seeking meals and other services at the Inn include: individuals and families struggling to survive on a fixed income, people experiencing addictions and mental health issues, single mothers and fathers, senior citizens and new immigrants. The Friendship Inn serves between 200-350 meals each day at breakfast; and between 400 and 700 meals for lunch. The Friendship Inn is open to the public from 8:00 am to 2:00 pm, everyday. Breakfast is served at 8:00 am to 9:00 am and lunch is served from 11:45 am to 1:15 pm. All meals are offered free of charge, with no questions asked.